Want to improve the appearance, feel, and overall condition of your skin? If so, PhotoFractional Rejuvenation may be a medical spa procedure you want to consider! This non-invasive treatment helps to improve both skin tone and skin texture, helping you to achieve more radiant, healthy looking skin. What Are PhotoFractional Rejuvenation Treatments? The unique Lumenis® PhotoFractional rejuvenation technology includes two solutions: Lumenis® IPL (Intense Pulsed Light) and ResurFX™, so that both skin tone and texture can be treated at the same session. IPL technology removes both unwanted pigmentation and blood vessels from the skin, while the ResurFX™ fractional laser stimulates the production of new collagen and elastic fibers in the deeper layers of the skin. Stimulating new collagen production is the key to a more radiant, youthful looking skin. Our practice has recently upgraded to the Lumenis® M22 System so that we may offer the latest, improved technology for our patients. ResurFX is a newly FDA-approved device that improves upon prior technology to improve fine lines and wrinkles, soften scars, improve skin texture and tone, and promote collagen growth with minimal downtime during a nearly pain-free procedure. Fractionated non ablative laser resurfacing, sometimes referred to as “Fraxel®”, describes the use of a laser to create zones of heat injury to the skin. This results in collagen production and skin tightening. PhotoFractional treatments are commonly performed on the face and chest. Your IPL treatment is completed first, and then a topical numbing agent will be applied to the treatment area in preparation for the ResurFx portion of the treatment. A typical PhotoFractional treatment takes approximately 60-90 minutes. Immediately after treatment, the skin is minimally swollen and mildly red for 1 to 2 days. In most instances, this treatment can be completed on a Thursday or Friday and you return to work on Monday. Following the first session, you should begin to notice improvement in skin tone and pigmentation. Typically, about 3 sessions are needed before improvement in the skin texture and fine lines is visible. Optimal results are achieved after 3-5 sessions separated by 4-6 weeks intervals. You will, however, continue to see improvements for up to six months following the PhotoFractional treatment. Schedule a PhotoFractional Rejuvenation Consultation Today! Think you might be a good candidate for this innovative skin treatment? 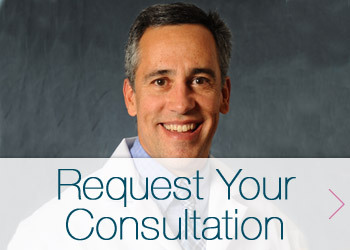 Schedule your consultation at Garcia Plastic & Hand Surgery today! Give us a call at 518-793-0475 or contact us using the form below. We look forward to helping you look and feel your best!